David J. Deschaine offers complete roof replacements or roof repairs, and offers the best roofing warranty in the business which covers all of our workmanship for 25 years. Our extensive knowledge in the roofing industry has earned us the title as Maine roofing authority. We have all the insurances in place to protect you during the roof replacement, and also covers all of the workman while the roofing project is underway. 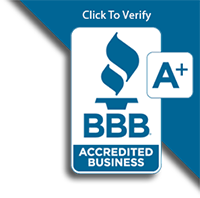 We are the roofing company that you can trust for a quality roof installation, and security knowing that you hired the best to protect your largest investment. We specialize in Residential Roof Replacements and we have Certified Installers so you know that your new roof will be installed professionally. We provide Free Estimates so you can schedule your appointment today by filling out or Free No-Obligation Estimate form, and one of our friendly office staff will contact you ASAP! 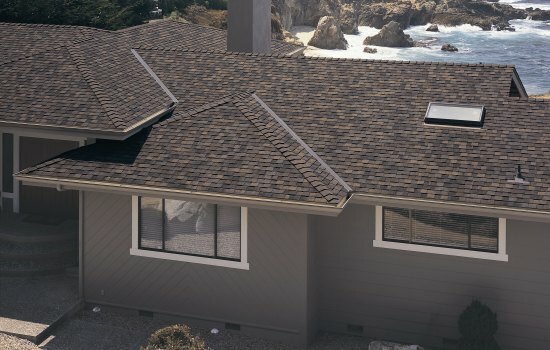 David Deschaine roofing has always offered CertainTeed roofing shingles along the coast of Maine, and there are a few different styles of roofing shingles to choose from. We want you to have shingles that are durable but also can withstand the heavy winds that we have here in Southern Maine. We have installed thousands of roofs and we are considered one of the best roofers in Maine, and that's why we rely on the durability of CertainTeed roofing shingles. Along the coast of Maine you want to have a stronger wind rating, and architectural shingles offer better wind rating and long-term durability. 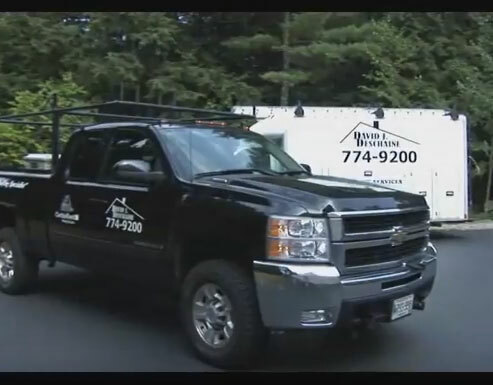 We want you have the best protection and you get that working with Maine's roofing authority David Deschaine. 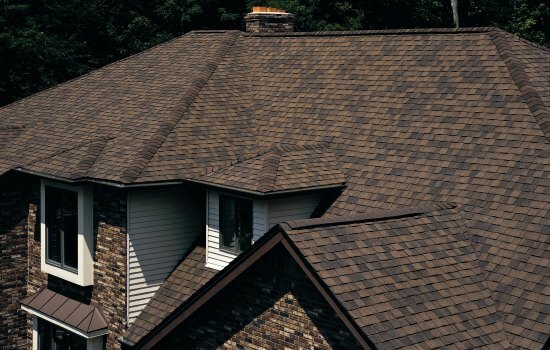 The dimensional look of architectural roofing shingles can really give your home a dynamic appearance. CertainTeed architectural roofing shingles come with a limited lifetime warranty so you never have to worry about your roof again. 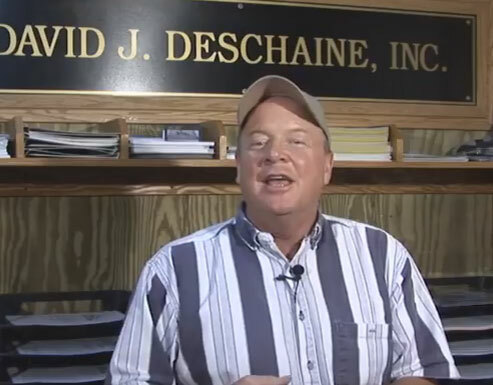 David Deschaine can offer you an extended workmanship guarantee that covers material and labor for a lifetime even with the high winds in Maine. 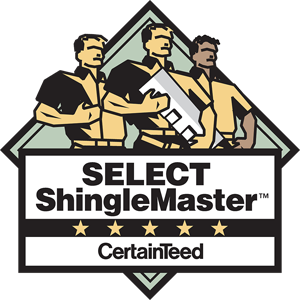 - We are the Select Shingle Master see you can relax because you are getting the best. These CertainTeed Landmark Architectural Roofing Shingles also provide protection against algae or lichen growth so you never have those streaks on your roof. The best roof you can get is a shingle that has more asphalt and more stone dust, and that's what makes a heavy shingle which last longer. The cost of the roofing shingles is a direct result how much material is being used in the manufacturing of that product - that's why a lifetime architectural roofing shingle is a going to be about 30% to 40% more than typical roofing products. The CertainTeed Landmark Premium Shingle comes with 110 mile an hour wind resistance and this truly is the best roofing shingle you can buy to use along the coast of Maine. With a lifetime warranty shingle from Certainteed you will have the transferable warranty that you can provide if you go to sell the home, or if you want to transfer to a family member the roofing package you choose will last a lifetime. All of the roofing materials that we install in Maine have the Certainteed Street fighter protection and this covers against any algae growth, and lichen growth so you don't get those unsightly streaks running down your roof. We also install a triple laminate shingle which is Landmark TL and the shingle is the very best it comes with 130 mile an hour when resistance and it truly looks like hand split shakes, they can really add to your high-end property and maintain that architectural presence for your home and it will last a lifetime. Make sure you check out our ColorView Software Program so you can mix and match the colors of roofing shingles that are available, and preview the vinyl siding colors that will go with your new roof. You can also wrap all the trim and fascia with the colors that are also available in the vinyl siding packages. We our full-service home-improvement contractor that specializes in residential roofing, vinyl siding, replacing windows and seamless aluminum gutters. Our color chart of all the three tab roofing shingles that are available in Maine, and these are basic roofing products XT-25 year that have a 60 mile an hour wind resistance and the XT-30 year have a 70 mile an hour when resistance. These CertainTeed asphalt roofing shingles are extremely durable and have a great warranty and a very affordable. Your home will have protection against heavy rains and also has a great 25 year or 30 year warranty. We do install ice and water shield along the eaves and overhangs and tar paper as part of our basic roofing package. 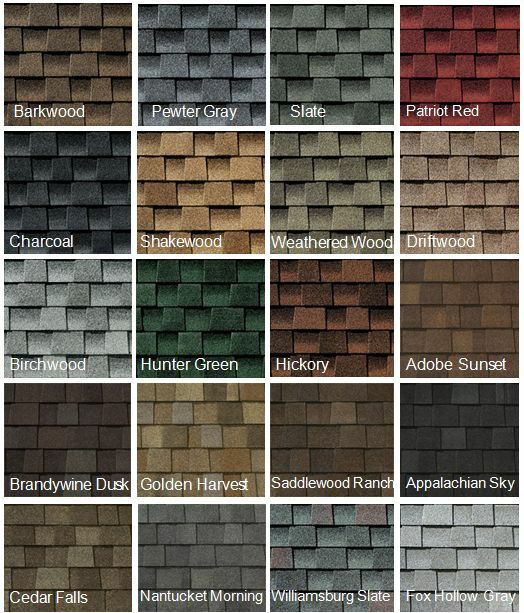 There are a wide variety of three tab shingle colors that you can choose from so you can match the body of your home. We understand that having a leaky roof is one of the most traumatic experiences a home owner could have. We have just upgraded our warranty to a No Leak Guarantee.While your roof will always need to be cleared from heavy snow and ice to prevent damage, we have always offered roof maintenance packages which include Roof Shoveling and Gutter Ice Removal we are your local Maine Roofing Contractors. David J. Deschaine is happy to offer expert installation services for your new metal roof. We are proud to offer you quality metal roofing products, made by Everlast Roofing in Bridgton Maine. Metal roofing in Maine is becoming more of a demand because the snow and ice slides off the roof. When you have or own a property in ME and live out of state, this will keep the snow and ice clear off the roof and prevent water damage caused by ice dams. Everlast metal roofing and siding panels are truly superior to anything else on the market. Our secret to success is our one-of-a-kind Heat Forming process. Heat Forming prevents microscopic paint cracks, and enables the use of harder, more scratch resistant paints. This makes Everlast Roofing the perfect choice for all of your commercial, residential, agricultural, architectural, and industrial buildings in the state of ME. We completely remove all of the old roofing materials and we then cover the complete roof decking with high temperature ice and water shield. Then we install all the required flashing as needed to make sure the metal roof we install is the best metal roofing system in Maine. The best part of working with David Deschaine Roofing In Maine is that we offer Maine made roofing products, and only provide the best workmanship possible on all the metal roofs we install in ME. You can also schedule your appointment today by filling out or Free No-Obligation Estimate form, and one of our friendly office staff will contact you about how a new metal roof can protect your home and save you money! The key to solving ice dams in Maine is to create a cold roof, with the temperature of the inside roof sheathing near that of the outside air temperature. 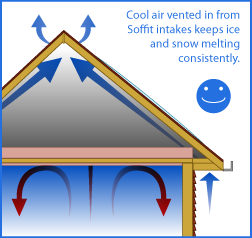 To create such a condition, large volumes of outside air must enter at the soffit intakes, and sweep along ridge rafters, then exit at vents near the ridge. 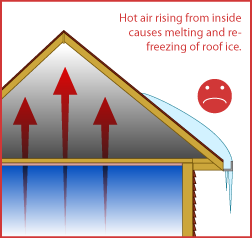 How Does Roof Ventilation Save You Money And Prevent Ice Dams In Maine? 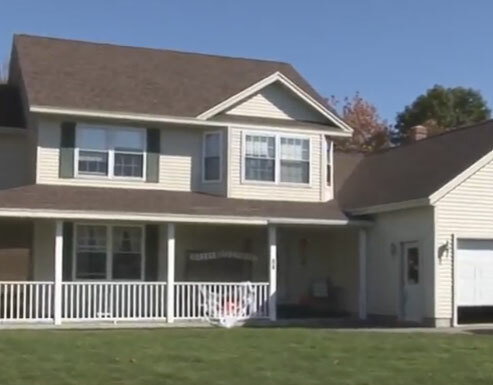 Adding roof ventilation to your home in Maine is so important because of the extreme conditions we have, our temperatures soar in the summer time to well over 100° and then in the winter months can drop below 10° to 20° below zero. 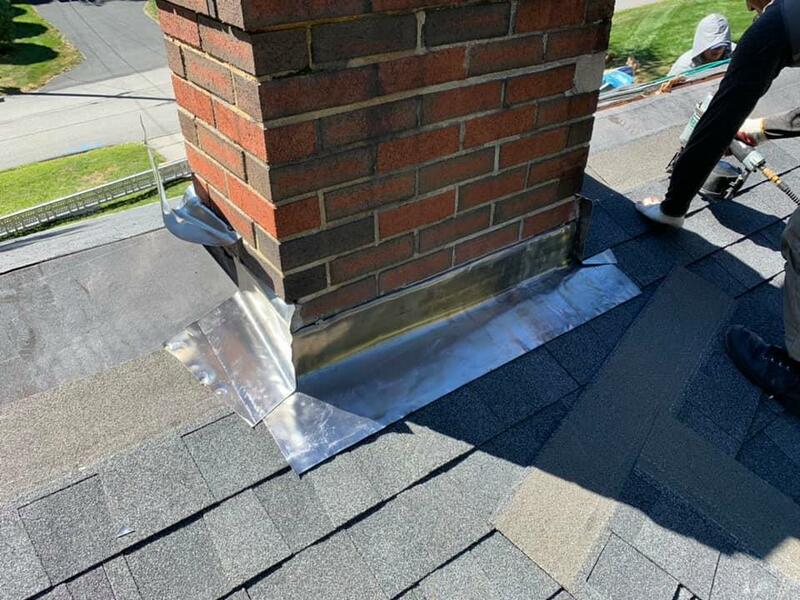 When we do a complete roof installation we always install a new ridge vent on all the roofs we install, and right now we're running a special that you get a Free Ridge Vent with the complete roof installation make sure to ask your sales representative for more information. Why Should I Add A Ridge Vent In Maine? A Ridge Vent ventilation system brings cold air into an attic, therefore the insulation must minimize heat loss at the attic floor. As an added precaution, use waterproofing shingle underlayment. It provides a waterproof-barrier beneath roof shingles, which pooled water from melting ice dams and driven rain cannot penetrate. (We also recommend shoveling your roof after every snow storm) Contact us now for a Free, In-Home inspection of your roof ventilation system! Contact us now for a Free, In-Home evaluation of your roof system! Read more about Roofing Ventilation. 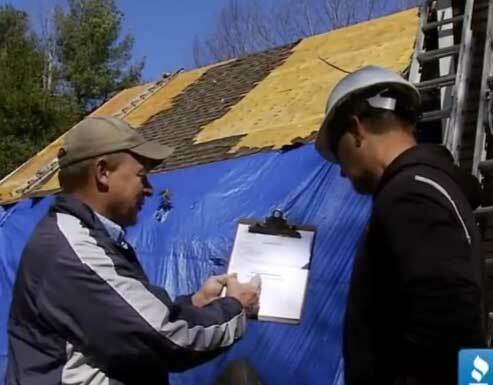 Do you need a roof repair and need this repair done right away, we have our Maine roofing repair division that specializes in replacing a couple a shingles or even a major roof repair. Our roofing technicians can usually repair the roof within just a couple of hours, and we give a fixed cost which is our minimum charge that does include materials and labor. If you experience any blow off's from windstorms or severe weather that causes damage to your roof, all you have to do is give us a call and we will dispatch one of our roofing technicians to get your roof repaired fast. Our company provides complete roof installations, but we do a lot of roofing repairs, because you may not need a whole new roof. During our repair will take photos and do a visual inspection of the complete roof condition, and If we notice anything that should be repaired or replaced we will let you know. How Much Does A Roofing Repair Cost? Our pricing for roof repairs depends on the damage that needs to be replaced or additional work that may be required. When you call our office we will ask some important fact-finding questions just to determine what type of roof repair may be needed. At that time will do a quick background check on the tax assessor databases in your local Maine town's cities and see if we can get a visual photo of what your home looks like. We also use an aerial view with some of the map programs that allow us to get out overhead view of your roof, and at that time will be able to determine what the price is going to be for your roofing repair. Again, we do have a minimum charge which includes taking photos of the roof, also includes a percentage for roofing materials, and a percentage for professional roofing labor, Insurance for workmen and of course round-trip travel so we can make sure and get your repair done quickly. Give us a call today and we will send one of our friendly roofing repair technicians to your home and get the roof repair done before any water damage occurs. Simply complete the free estimate form here on the website and once we receive your online request we will call you back or you can call us at 774-9200. One of the most important aspects to keep your most valuable investment safe is to shovel your roof after every heavy snow storm. David J. Deschaine provides a yearly roof shoveling and roof maintenance programs, which includes roof shoveling and ice dam removal, with the professional roofing services you've come to expect. If you live out of state and you need a local Maine roofer to shovel your roof we can make sure your roof is clear, and we can add you to our early list of names to make sure your home is protected. Especially on older roofs, the buildup of snow and ice in a harsh Maine winter can lead to serious and permanent damage to your roof. We also clear ice dams from gutters here in southern Maine and our roof shoveling crews use calcium chloride if needed to remove the frozen ice and snow from gutters. We have insured roof shoveling teams working through out the winter months helping Maine homeowners clear the snow and ice from their roof, and we also shovel the walkways, and make sure any exterior ventilation pipes are cleared from snow. Contact us now for a Free Estimate for Roof Shoveling, and a In-Home evaluation of your roof system! Read more about Maine Roof Shoveling. This is important if you wish to protect the longevity of your shingles. You will begin to see lichen growth typically after five to seven years in the shaded area of your roof. Once this begins it requires a special chemical called Shingle Shield that will target the strain of plant growth to kill this fungus-like bacteria. We use a low-pressure pumping system that will spray the Shingle Shield product onto the roof, and then we use a pressure wash set on the lowest possible PSI to ensure the roofing material will not be damaged. This is the best roof cleaning system in Maine, and we are located in the Southern ME area and usually can schedule a roof cleaning within 2 days if you are located the Greater Portland Area. Feel free to call us if you have any questions or you can schedule your appointment online. One of the most important aspects to keep your most valuable investment safe is with regular roof maintenance. David J. Deschaine provides a yearly Roof Maintenance Programs, which includes roof cleaning, with the professional service you've come to expect. Contact us now for a Free Estimate for Roof Cleaning, and a In-Home evaluation of your roof system! Read more about Roofing Cleaning in Maine. Read more about Roof Cleaning in Maine.